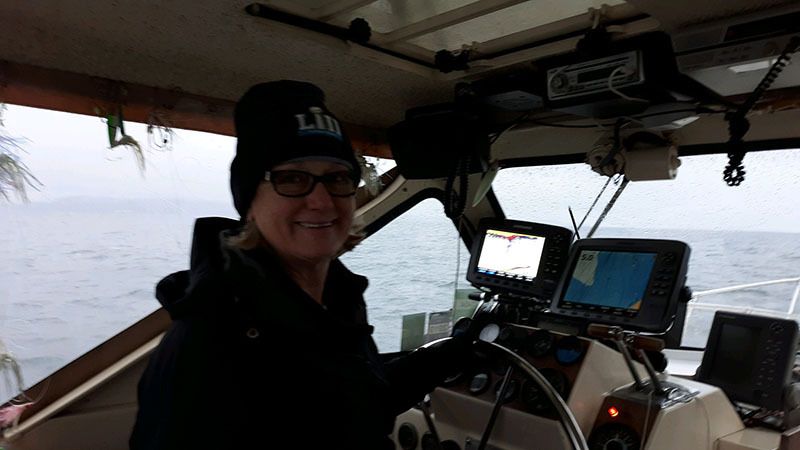 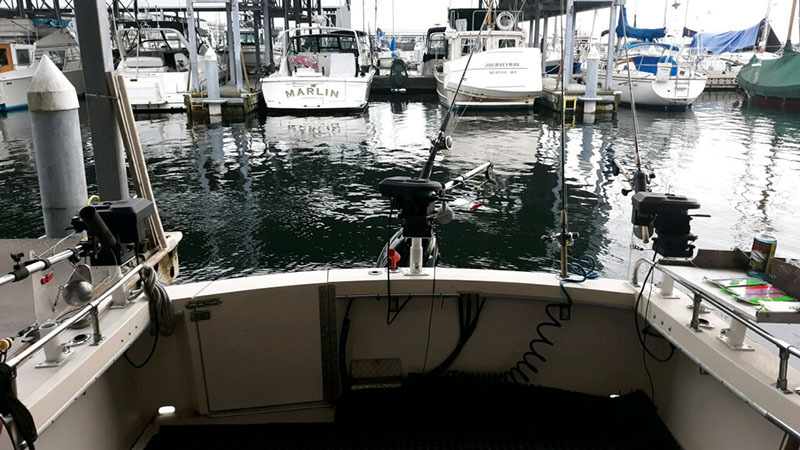 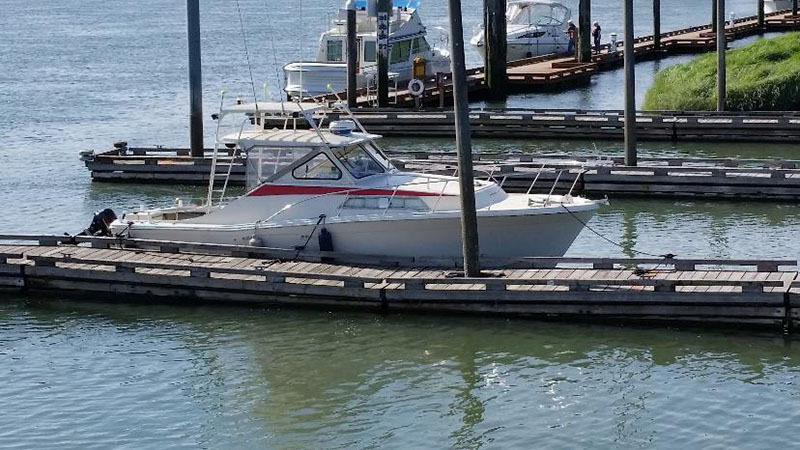 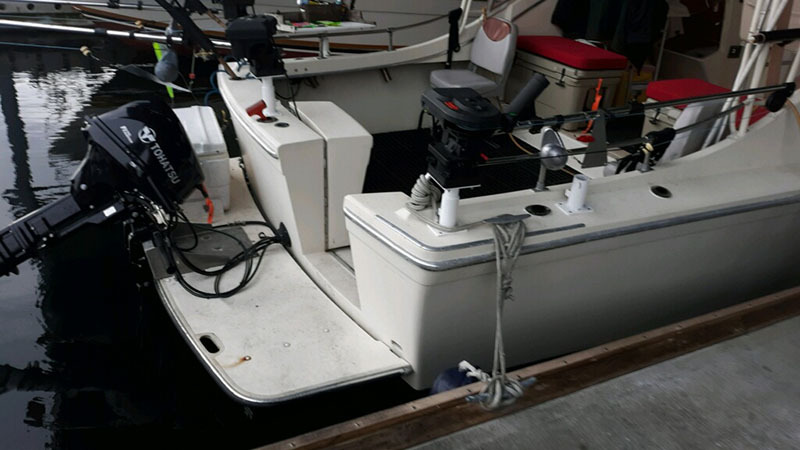 Axis Sport Fishing Charters has spared no expense in our commitment to excellence in providing you with very best Puget Sound fishing experience. 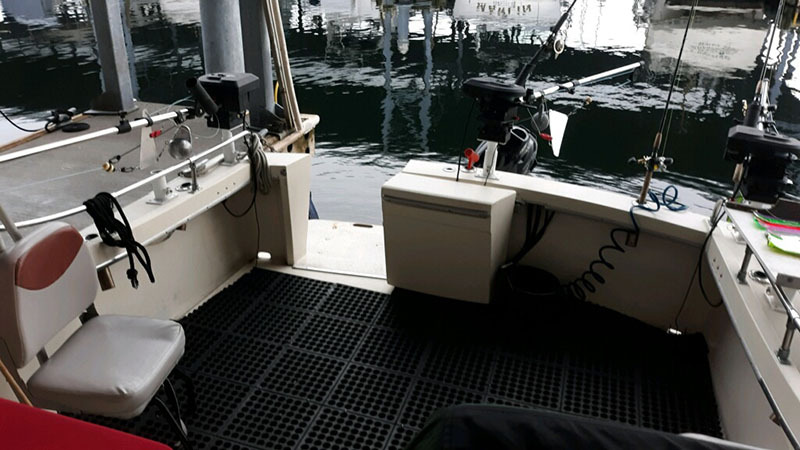 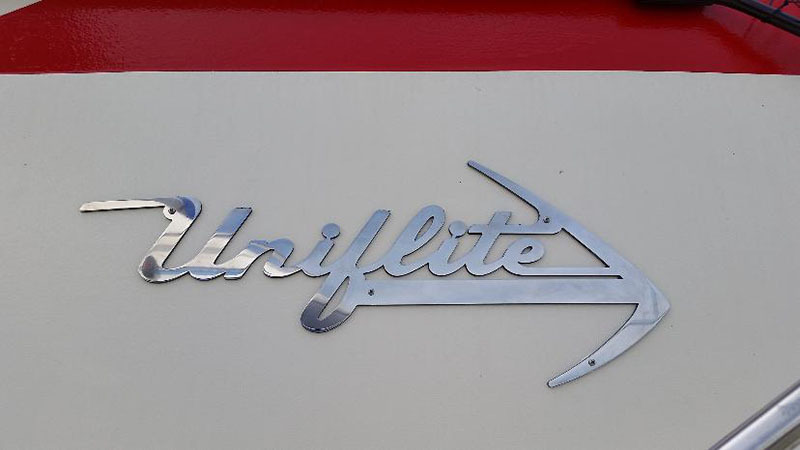 Our vessel is impeccably maintained and will meet and exceed your expectations for safety, comfort and cleanliness. 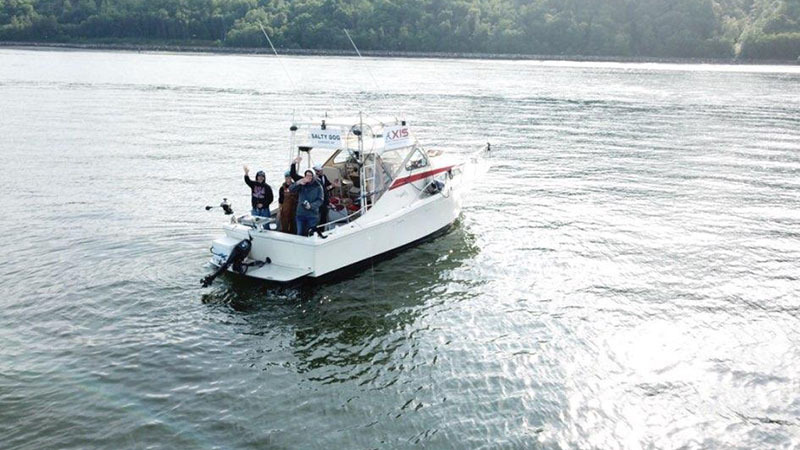 The wide open aft deck will give you room to stand up and stretch your legs with ample space to fight that big fish you've been waiting to land. 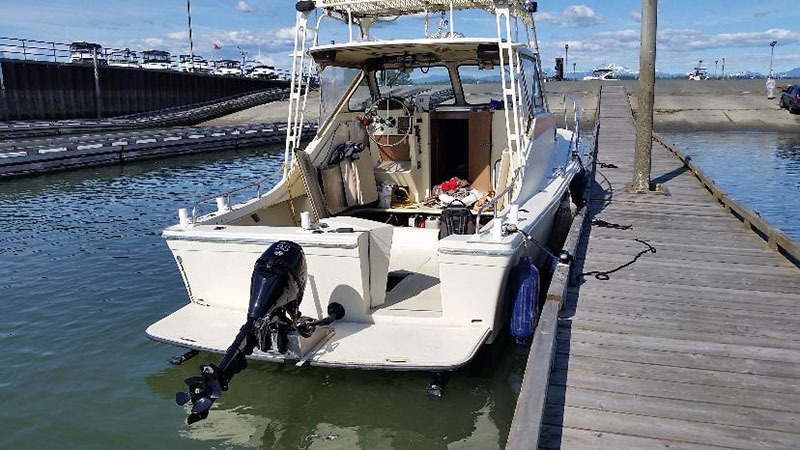 Boarding her is easily accomplished with the walk through transom design. 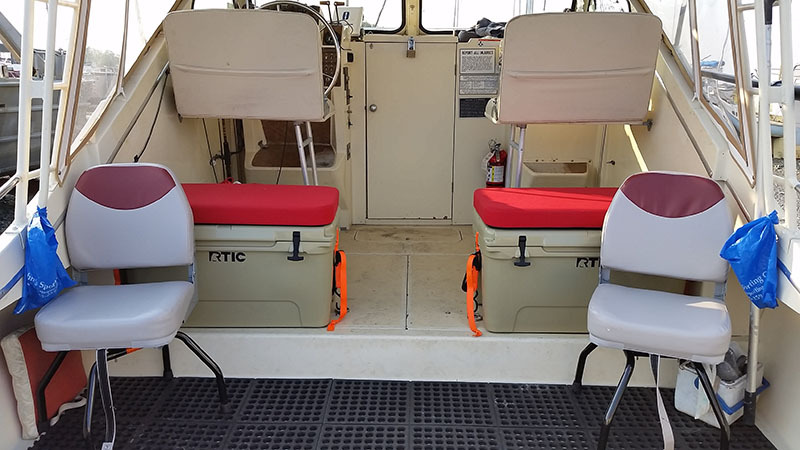 Our boat comes appointed with everything required for a safe and pleasurable trip, including comfortable cabin furnishings with a private restroom, a complete array of sophisticated electronic navigation and communication equipment, state-of-the-art fish finding equipment and all the necessary emergency/survival gear. 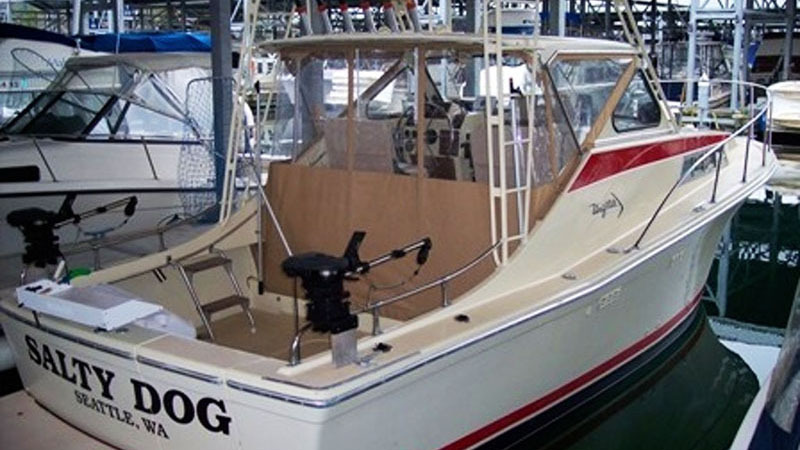 The Salty Dog is immaculately clean, strictly maintained and delivers an extremely stable and comfortable ride.